To avoid new threatened “enforcement actions” by the SBA, your servicing and liquidation procedures must strictly follow the agency’s major rewrite of SBA’s SOPs. This directive from the SBA’s Office of Credit Risk Management introduces numerous new servicing and liquidation regulations affecting all SBA 7(a) lenders—effective immediately. This webinar will help your servicing staff understand what SBA now means by “prudent liquidation,” rules governing liquidation of current caseloads and restrictions on liquidation of collateral, plus new rules regarding wrap-up reports and SBA 7(a) revolving lines of credit, and much more. Threatened “Enforcement Actions” to be issued by SBA to SBA 7(a) lenders for not completing their current liquidation caseload by December 1, 2017. Threatened “Enforcement Actions” to be issued by SBA to SBA 7(a) lenders who do not complete liquidation of collateral within two years of the guaranty purchase. New rules in preparing SBA 7(a) wrap-up reports. How to calculate the SBA 7(a) lender annual servicing fee when the loan during the liquidation process. New rules and clarifications for SBA 7(a) revolving lines of credit. 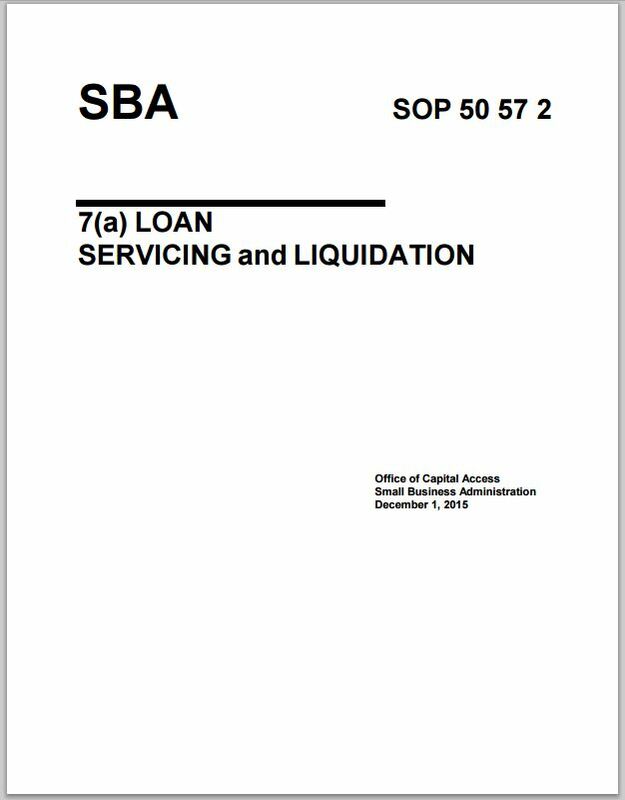 Special liquidation rules for SBA 7(a) small loans less than $350,000. Mandatory use of e-Tran for certain SBA 7(a) servicing and liquidation actions. New credit bureau reporting rules for SBA 7(a) loans. New SBA 7(a) Liquidation status reporting requirements. New rules for returning a SBA 7(a) loan from liquidation to regular servicing status. The new rules about receiverships and liquidations. Specific guidance when you need to submit liquidation expenses to SBA. What to do with the 1099-C.
1) Previous customers need only to send an email to joseph@colemanreport.com with “Register SOP 5057 2 Training” in Subject Line. We will do all the paperwork and charge your credit card on file, or send you a PayPal request.